J2 Innovations is gearing up to deliver the FIN Framework to OEM partners globally. We are excited to announce that Chris Irwin has been appointed to lead this expansion, taking on the newly created role of VP Sales EMEA and Asia. 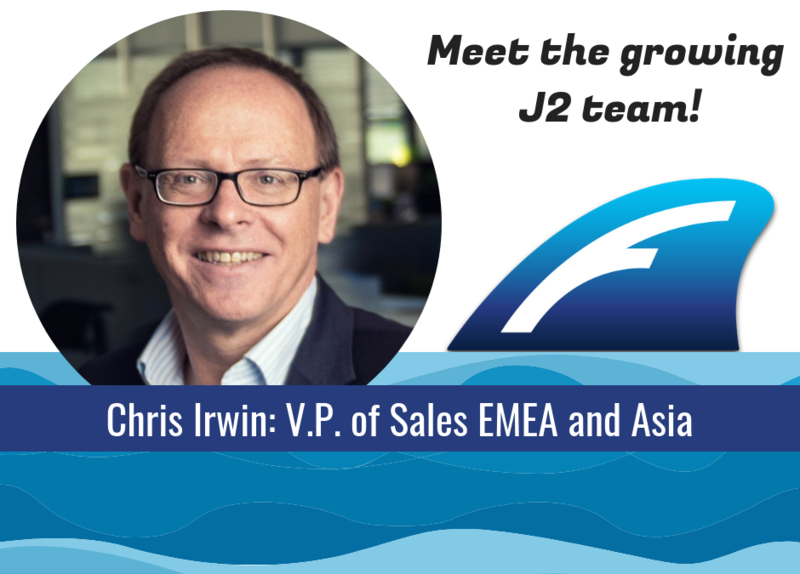 Chris comes to J2 with plenty of experience of the open framework market, having been instrumental in driving the growth of Tridium’s Niagara Framework business in Europe for more than 12 years. Most recently, he was V.P. of Sales EMEA for Distech Controls. With over 30 years of experience in the building automation market, Chris brings a wealth of insights to strengthen our executive team. Outside of work, Chris has a variety of interests, ranging from renewable energy, electric transport (especially Tesla), architecture, history, and radio-controlled models. Living in Oxford, Chris swims regularly for exercise and greatly enjoys red wine. Chris is diving in with both feet on a multi-country tour with FIN evangelist and VP of Marketing, Scott Muench.